On the 24.5.06 at approximately 7:45 a.m. the Israeli army came to the village of Funduq, Qalqilya district, with several military vehicles and three bulldozers / drills. Within minutes, they started to demolish one house and several agricultural structures between the villages of Funduq and Hajja. The house was under construction and planned to house a family. The owner, Salim Odeh, had already spent about 6000 JD on the house. He stopped building after receiving a demolition order and fulfilled all the requirements to get a permit for the house, but he was told there is no way to “legalize” it and his appeal against the demolition order was subsequently rejected by the court. All structures were on privately owned land, and the owners tried in vain to get permits to build on their own land. The Israeli authorities block the expansion of the villages in the area, which is slated as “Area C” under the Oslo Accords, thus preventing people from earning a living or building houses to ease the crowded living conditions inside the village. 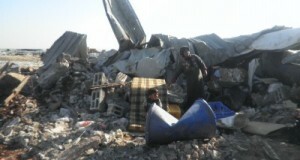 Today’s demolitions are part of a larger campaign of house demolitions in the villages of Funduq, Hajja and Jinsafut. 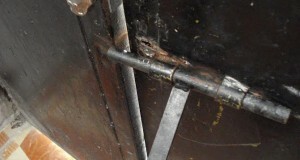 Another 30 houses, including up to 20-year-old houses inhabited by families with children, houses that are still under construction, agricultural barracks and structures, a well, a gas station and work shops, are currently under threat of demolition. demolition order, but was preempted by the demolition. Some agricultural structures were demolished on the same day. International Women’s Peace Service 09-251-6644 (English or Arabic). Video and still photos are available by contacting IWPS. The International Womens Peace Service (IWPS) witnesses, documents and publicizes human rights abuses and peacefully intervenes to prevent them.